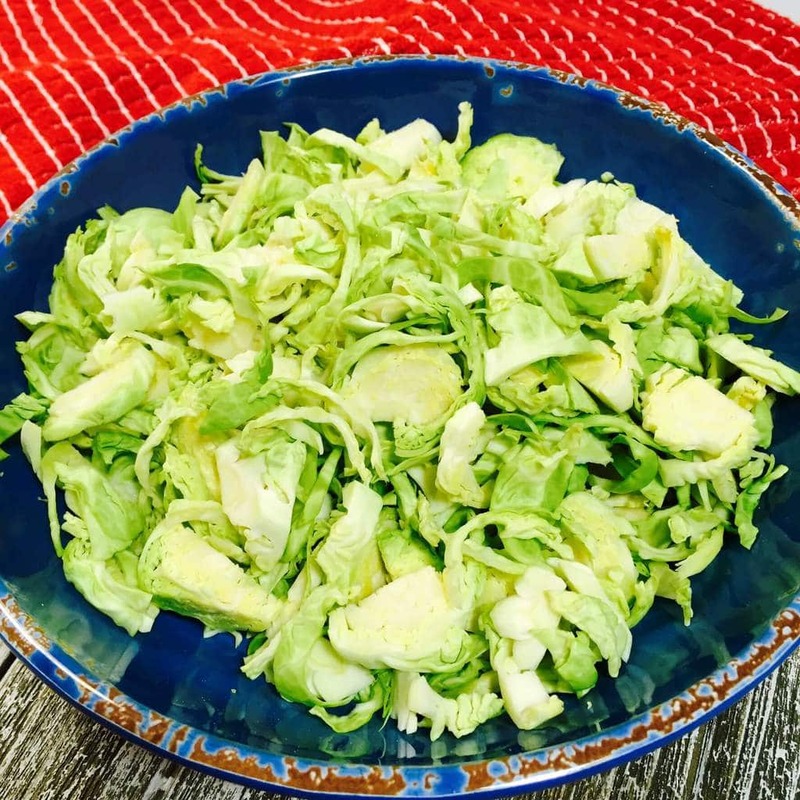 The real beauty of this Shredded Brussels Sprouts recipe is how easy and quick they are to make. This healthy, tender and delicious side dish is ready in just 5 minutes. Whether you love Brussels Sprouts or not, these incredibly healthy vegetables should really be included in your diet. And the thing is, not only are they super healthy but also super delicious if cooked properly. Let’s start with the health benefits of these wonderful vegetables. 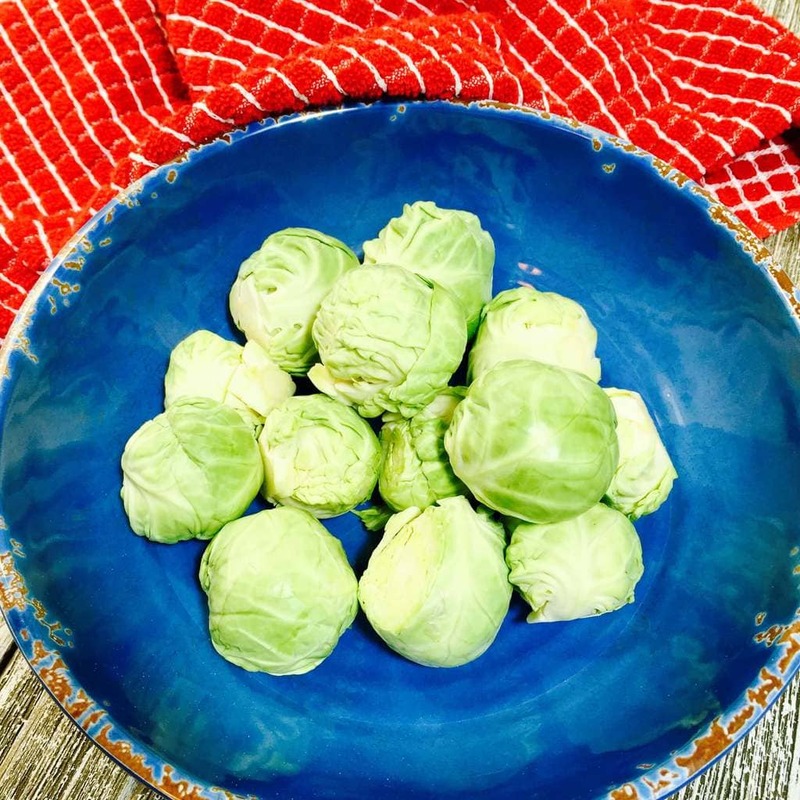 Medical News Today can’t say enough wonderful things about the health benefits of Brussels Sprouts including fighting cancer, helping bone health and helping fight diabetes. 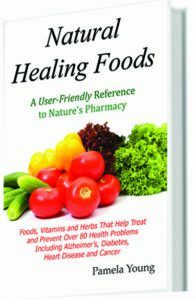 In my own book, Natural Healing Foods, I cite a study in the publication of the International Journal of Cancer that was conducted between those who ate Brussels Sprouts and other cruciferous vegetables compared to those who didn’t. The result was that including Brussels Sprouts in the diet actually lowered the risk of several types of cancers by 29%. So, yes. Brussels Sprouts are definitely healthy. But here comes the other question. How do they taste? Earlier I added the phrase ‘if cooked properly’ in there for a reason. My aunt made fabulous Braised Brussels Sprouts, so I knew how great they were even as a child. 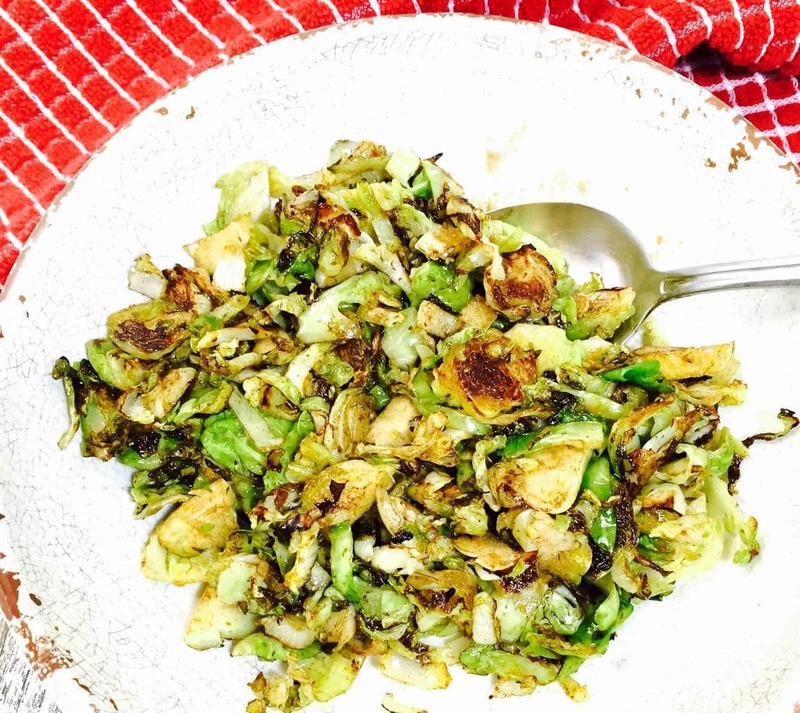 Since then I’ve also experimented with other recipes for them like my Easy Roasted Brussels Sprouts, which are nutty and packed with flavor. But I’ve also had some pretty bad Brussels Sprouts. At a fairly high end restaurant recently I ordered Brussels Sprouts as a side dish expecting them to be wonderful. What I received was al dente tasteless sprouts. No butter, no flavor and they were sooo hard that it was difficult to even cut them with a knife. No, I didn’t send them back. Should have maybe. But I know how hard chefs work to try and please. But the point is if you’ve ever had terrible Brussels Sprouts in the past, don’t give up them. They’re wonderfully delicious when cooked right with the right seasonings. 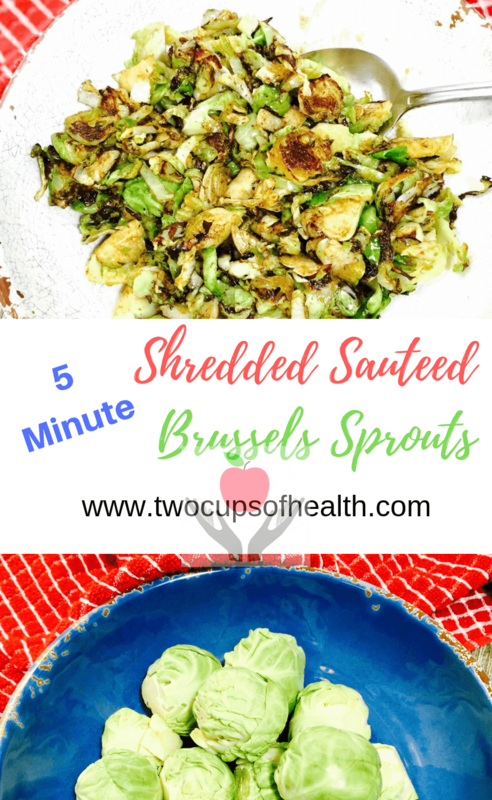 Which brings us to these fabulous Shredded Brussels Sprouts. This recipe was inspired by Ina Garten. I really love her and she’s a wonderful cook, but sometimes gets a little heavy with salt and butter. 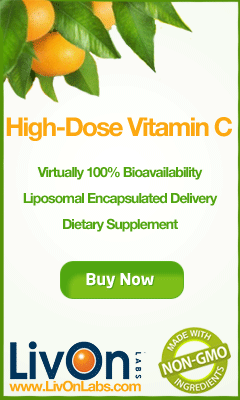 So this recipe is a bit lighter in calories and sodium. But the wonderful flavor is still all there. And the real benefit is how fast and easy this recipe is. Instead of 30 minutes, this totally delicious dish is finished in 5 minutes. 5 minutes! 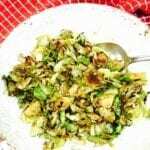 The best thing about this recipe is that cooking time in most Brussels Sprout recipes is 20-30 minutes depending on whether you braise or roast them. But this recipe takes a mere 5 minutes! And it’s so easy to make. After washing and trimming the sprouts of their hard bottom stem and removing the darker outer leaves, just slice each Brussels Sprout in thin slices about 1/8” thick. I did it by hand, but you can certainly use a food processor. Over medium high heat add butter and oil to a sauté pan. When the butter begins to sizzle add the Brussels Sprouts along with the salt, lemon pepper and thyme. Let them cook as you periodically stir them about 5 minutes. Right before you serve them add the balsamic glaze and stir to coat. And they’re done perfectly. Easy peezy! Delicious, super healthy and fast! The real beauty of these Shredded Brussels Sprouts is how easy and quick they are to make. This healthy, tender and delicious side dish is ready in just 5 minutes. Add butter and oil to a saute pan over medium high heat. When butter begins to sizzle add shredded Brussels Sprouts. Then add lemon juice, sea salt, lemon pepper and thyme. Cook 4-5 minutes until tender. Add Balsamic Glaze and mix to coat. If you like this recipe please leave a comment below and be sure and pin this on Pinterest!